Tyler N. submitted this photo and caption. 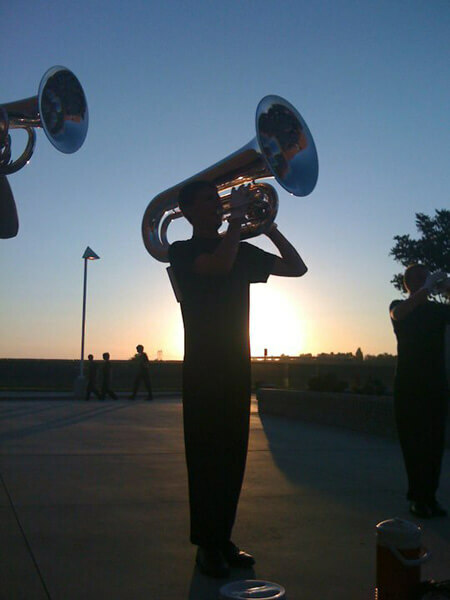 This photo of me was taken by brass staff member Mike K. The (Spokane) Thunder brass line warms up in the sunset before our show in Ontario, Calif. It was our first and only show "under the lights" on our abbreviated 2011 tour—An experience I'll never forget.